The granny row of the "Granny Rose CAL"
from this step of the CAL has been added. this will be a blanket and the original CAL was designed for a pillow. In the midst of the project I ran across this post at Sewing Daisies, which led me in a different direction. 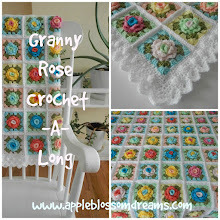 Originally all the granny rows were to be white, but with the inspiration from Sewing Daisies the granny row colors received three different background colors including the aqua. So I added an extra single crochet of red for a little zing. however, I must bring as much red in as I possibly can! Aqua, pastel violet and white. What do you think of the subtle differences? and there's a lot of white in the room. This is a "Before" photo. "After" will be posted upon afghan finish. to put on top of the IKEA shelving unit "Expedit." I hope you are having fun too! It is beautiful and any guest visiting will feel very special with that on the bed! These colors are absolutely gorgeous and the roses beautiful. This is going to be one gorgeous Afghan and cheer anybody up that gets to use it. Wonderful work! This is stunnning! I am trying to spruce up my guest bedroom also! Love everything,the combination in the room and the afghan.Tha grannys are lovely ...like everything.Great job ! Soo pretty. The colors are so vibrant and alive. It will be a gorgeous blanket. 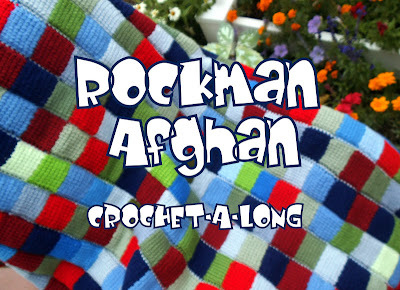 I love the colors that you choose...It will be beautiful afghan! 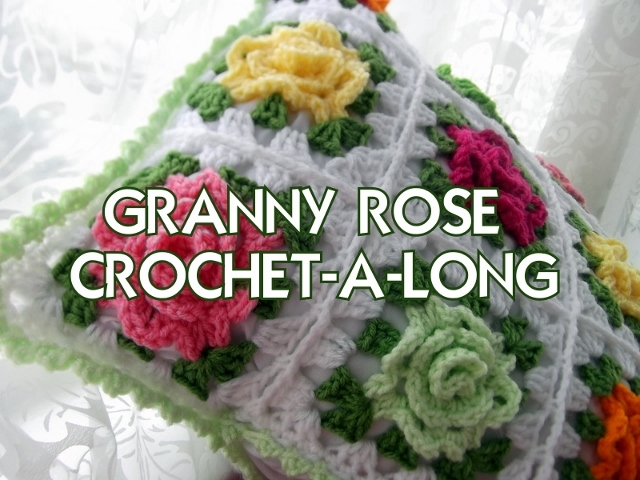 Your granny rose pattern is divine. I haven't tried the pattern yet but I know it will be a gorgeous blanket...Gaia. Wow, what a pretty guest room. It's hard to believe this photo is "before" - how could you possibly improve it?